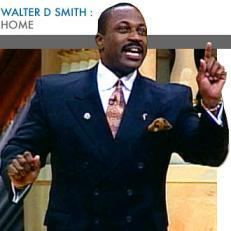 Walter D. Smith Are you looking for something a little different in a Professional Speaker? Look no further... Professional Body Builder Walter D. Smith delivers a strong uplifting message with a strong physical presence. This powerful combination draws his listening audience keenly into his enlightening presentations. With his life skills message piercing the ears of children/adolescents, Walter's diverse skills enable him to move adult listeners as well! Walter's "Choices" presentation, designed specifically for children/adolescent listeners, provides alternative learning. Sub titled Edu-Tainment; Walter provides a fun educational and entertaining message as an alternative to everyday class room curriculum.